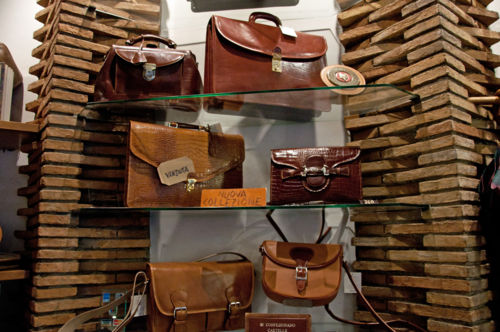 “Where can I find a good leather store in Rome?” has to be one of the most frequently-asked questions I get. Although I’ve dragged my (leather-clad) heels on writing a full list — it’s pending, I promise — here’s one to add: Mancini. The little shop, tucked behind the Pantheon, got its start back in 1918. The great-grandson of the first owner runs it today. For a small place, it’s had an illustrious history: it provided leather for the 1951 film Quo Vadis, once made a leather folder (random, yes) for Pope Pius XII and was Gucci’s go-to spot for repairs for years. 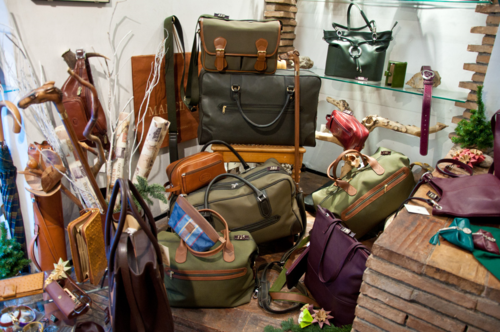 One of the shop’s early specialties was luggage, which they still sell today. 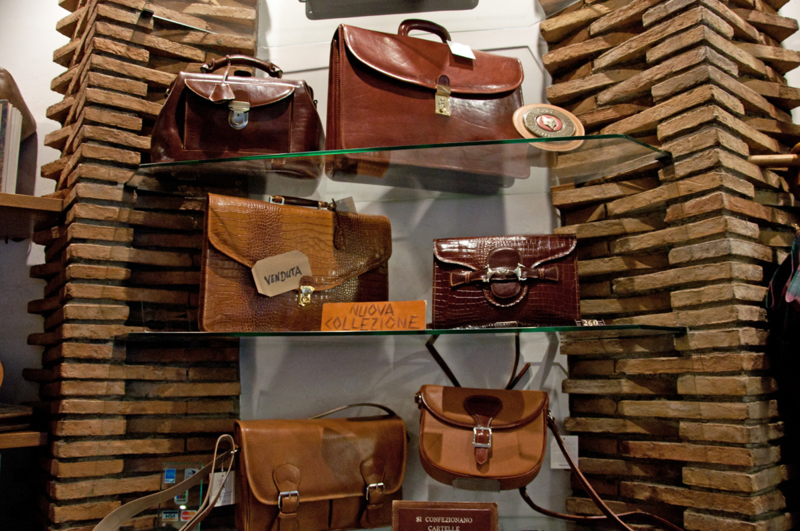 And for gentlemen, there are plenty of briefcases that would add Italian flair to even the most straight-laced of suits. What about the prices? Well, you’re not going to think you’re in an H&M. But for handcrafted Italian leather, you could do worse: a small leather bag is around €200, a leather tote around €250 and briefcases around €300. 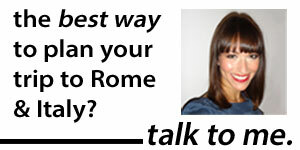 And if you can’t get to Rome, you can even order online. When a 98-year-old family-run shop in Rome accepts Paypal, you know the future is here. 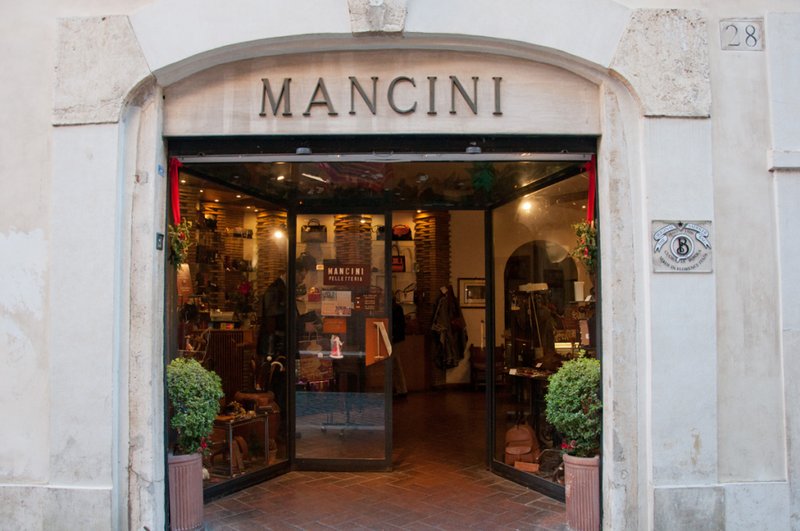 Mancini leather shop is at Via della Palombella 28, just behind the Pantheon. They’re open from 10:30am to 7:30pm. (While you’re there, make sure to check out the Church of Santa Maria Sopra Minerva, a stone’s throw away). 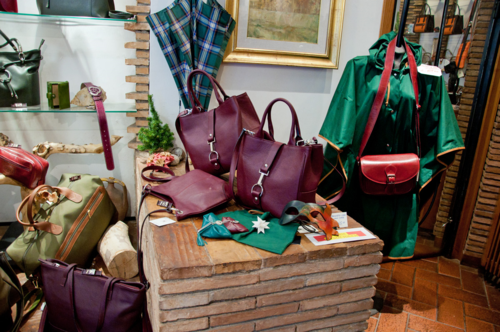 You might also want to check out Armando Rioda, my other favorite leather shop in Rome, as well as other great places to shop for gifts in Rome and where else to buy artisanal products from Italy — that you can order online.